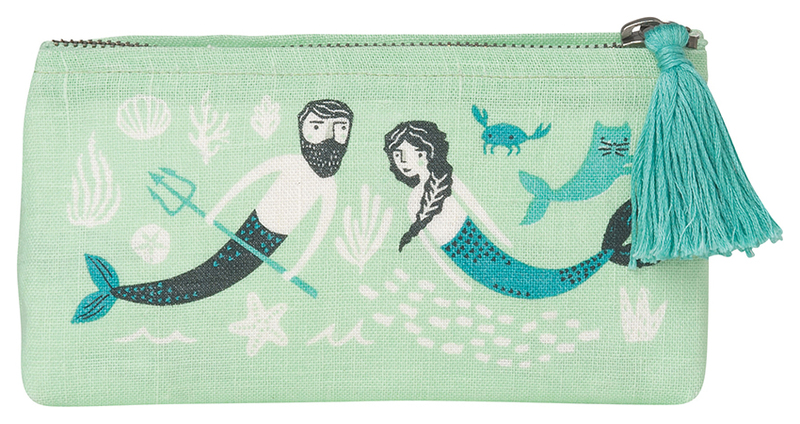 Made from 100% linen and with a vegan leather lining, this pencil cosmetic bag is perfect for storing your drawing tools, small accessories and other little treasures. A tassel adds for tactile interest. 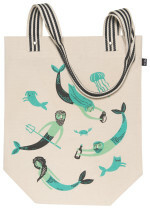 Enchanting merfolk swim in a swirl of aquatic greens and blues amongst playful mercats and tantalizing seaweed.